So, today, I am here to show you how to have the best of both worlds. 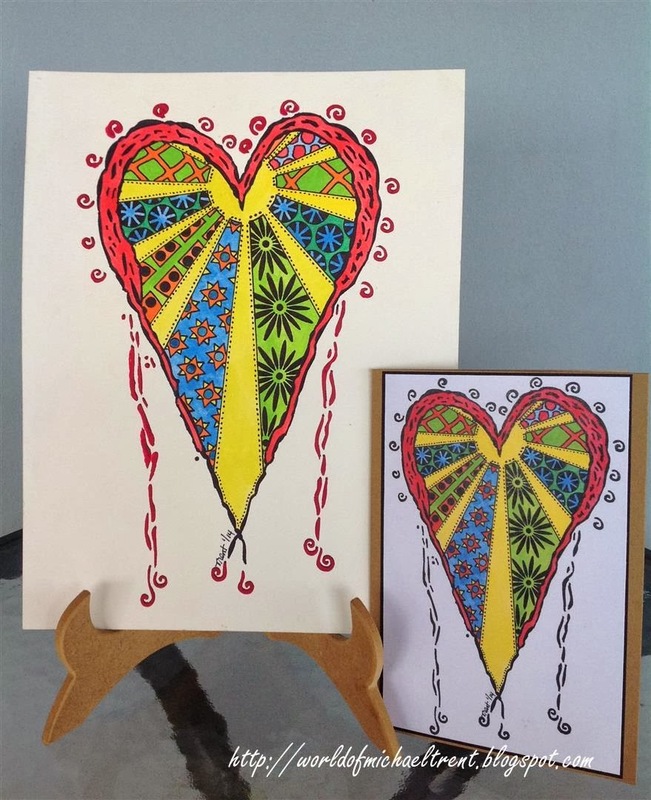 A piece of "ART" to be framed or hung on the wall or placed on a shelf, together with a set of cards using the same design. 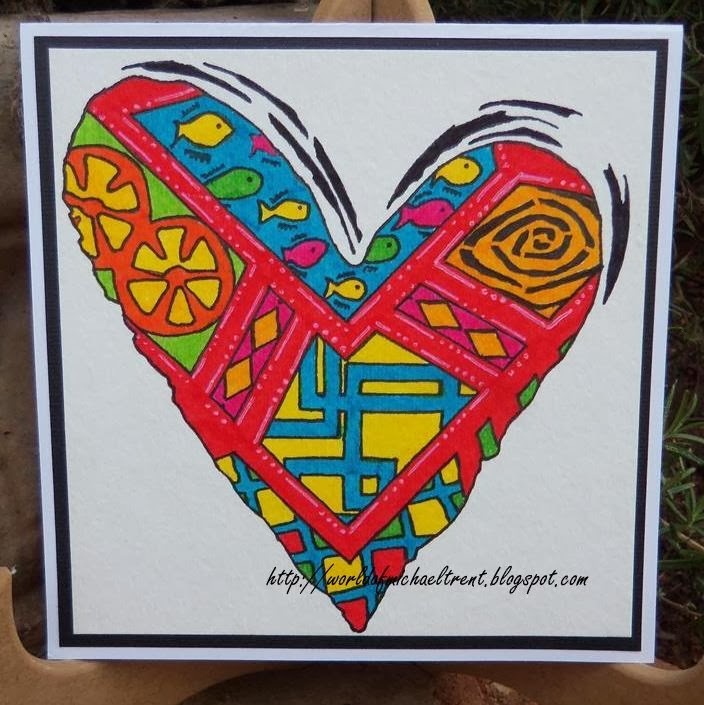 This project uses Pam Carriker's Heart stencil. When I saw this stencil at The Ink Pad, I knew I had to have it. 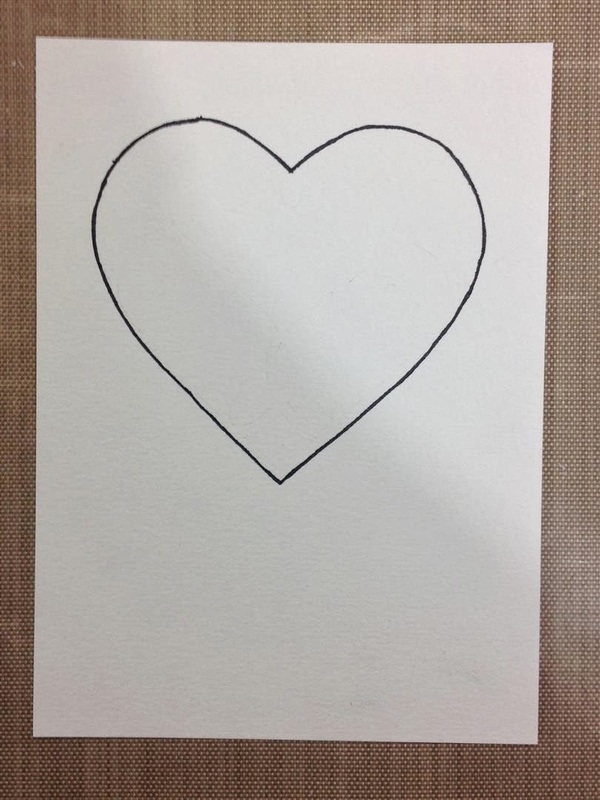 It is the perfect stencil to use with the StenDoodle technique due to the large area inside the heart in which to work. And, when her Wing stencil gets out of customs, it will go perfect with this stencil too. 1. 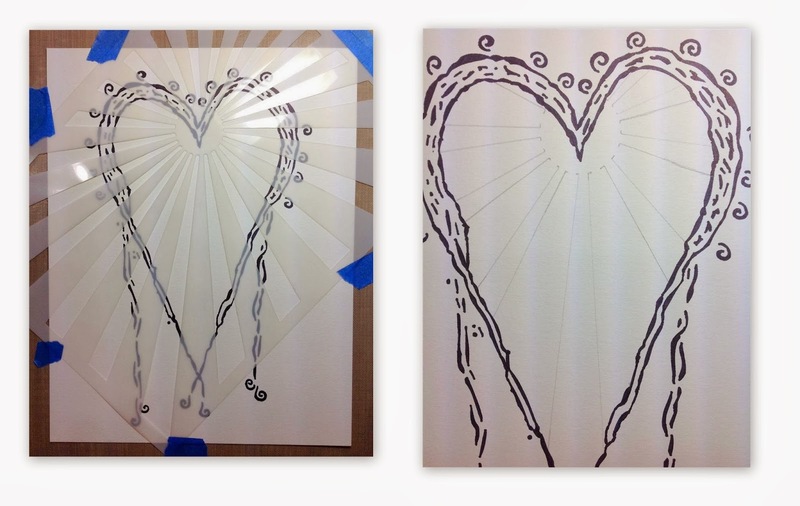 Lay the Heart stencil on top of the watercolor paper and secure with painter's tape or another removable tape. 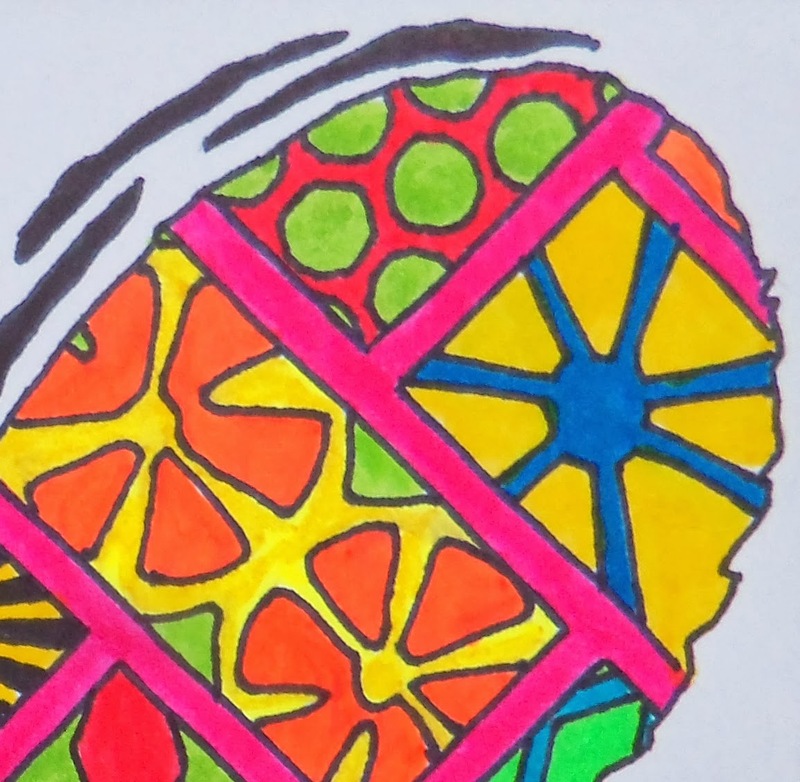 Working slowly, trace and color in the outside border of the heart with the permanent marker. There is a sort of "inner" border that I did not use in this piece. 2. Now, because I want the outline to be a solid color, I took a bit of creative license with the stencil and closed in the border. Where there are gaps, I used the marker to close that area. I hope Pam does not shoot me or take me to court!! haha. 3. 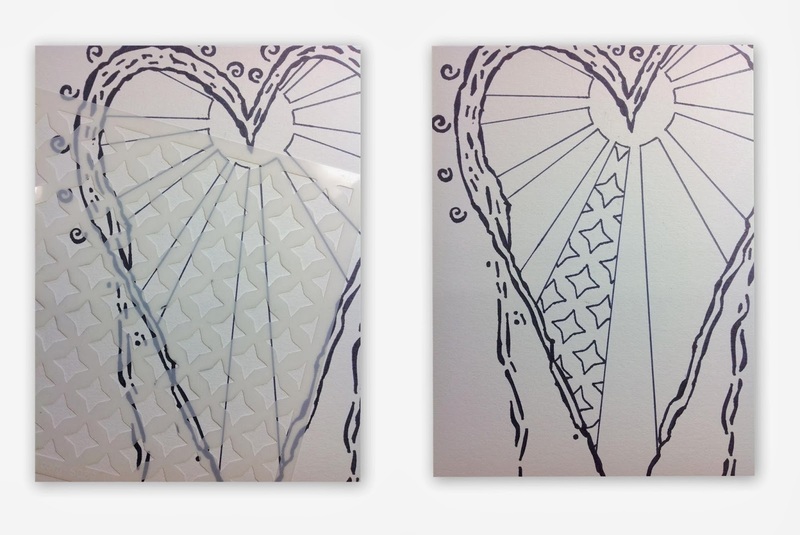 Lay the Circle Rays stencil on the heart, secure with tape, and trace the rays that you want to color in. I outlined every two rays as one ray. Then go over the pencil lines with the marker and erase the pencil lines. 4. Place the Throwing Stars stencil in one of the rays and trace with pencil and/or with marker. 5. Place the Gigi Stencil in another ray and do the same. This time I just colored in the flowers with the black permanent marker. 6. Next up is the Wheels Spoke stencil. 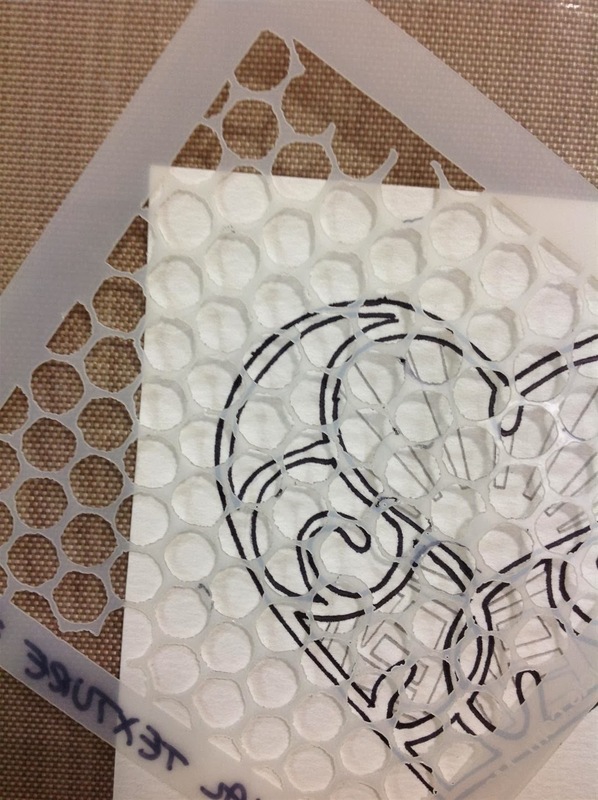 This is a two step stencil - first, trace the circles where you want them, then go back and trace the spokes. You will do this in a ray on the right and left side. 7. Next up is the Half Moon Slant stencil. Trace with pencil and/or marker. 8. Next is the small Journal Texture No. 2 stencil n the last ray on the upper right side. 9. 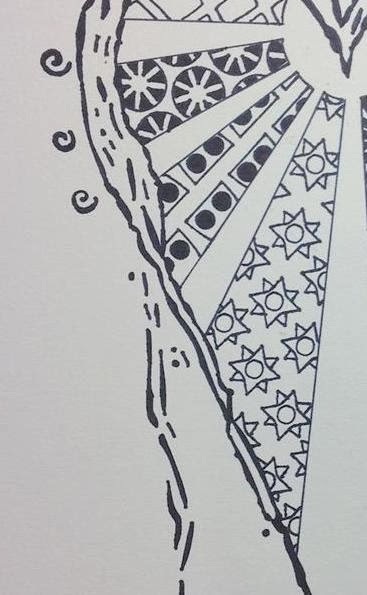 Now, not liking the way the Throwing Stars looked, I went back and, using the small circle in the Wheels Spoke stencil, I put circles in the center of each of the stars. I then took the Throwing Stars stencil and turned it on the side to add more points coming out of each star. 10. Then the Half Moon Slant, in the ray to the left of the Throwing Stars, looked bare. So I went back and put the same small circles in that ray also. 11. 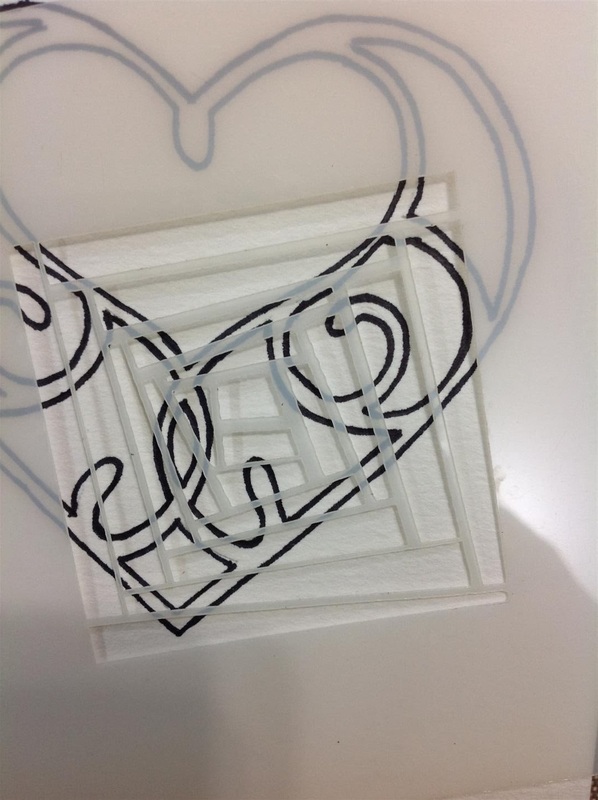 This is what the piece will look like when you have finished tracing the stencils. 12. The above looks cool the way it is. But now we gotta color it all in. I used Inktense Blocks by Derwent with a waterbrush (thanks Pam for getting me hooked on these). You can use whatever medium you want to use. Below is what my piece looks like after fully colored in. 13. Now, before adding any texture, scan you piece. I scanned mine at 300 dpi. Then I went and printed some 5 x 7 prints using Picassa, layered them and made my cards. 14. 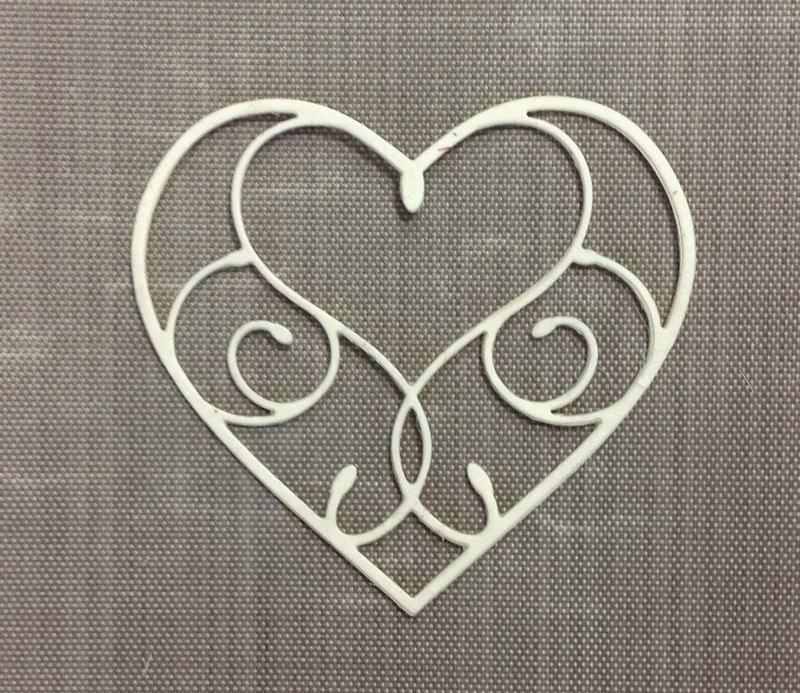 After I scanned my piece, I placed it back on the craft mat and put the Heart stencil back over the piece, securing it with painter's tape. I mixed a bit of red paint with some modeling paste to make a texture and then applied it around the heart. Well, that's it. Did you really make it to the end? 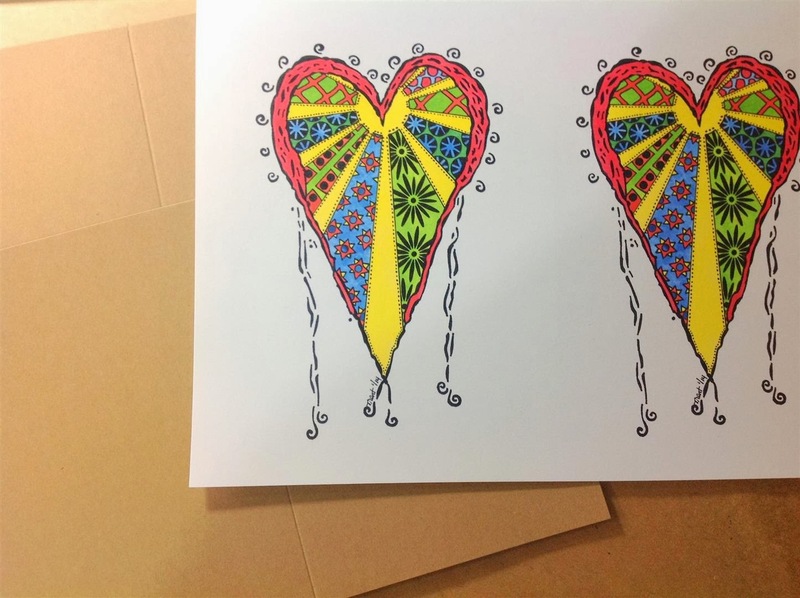 After the paste has dried, if you used it, you have a beautiful piece of Art as well as a scanned image to make into card or other gifts. Hope you liked this tutorial and project!! StencilGirl Products has asked me to become part of their Creative Team!! And, of course, I said YES!! Yesterday was my first Guest Artist spot on their blog and I was really hoping that it would generate some buzz and get nice comments - just so that they would ask me to come back again. To be asked to join the Creative Team was totally unexpected and a huge surprise for me! I am working out the details with them but, since I am on another continent, in a different time zone, and have responsibilities with our store, it looks like I might do a once a month project with my StenDoodle technique. How does "StenDoodling With Michael" sound? LOL. Just want to thank everyone for coming to my blog, commenting on my work, and embracing this new technique. I have a lot more projects in my head to share and hope you all continue to create with me!! 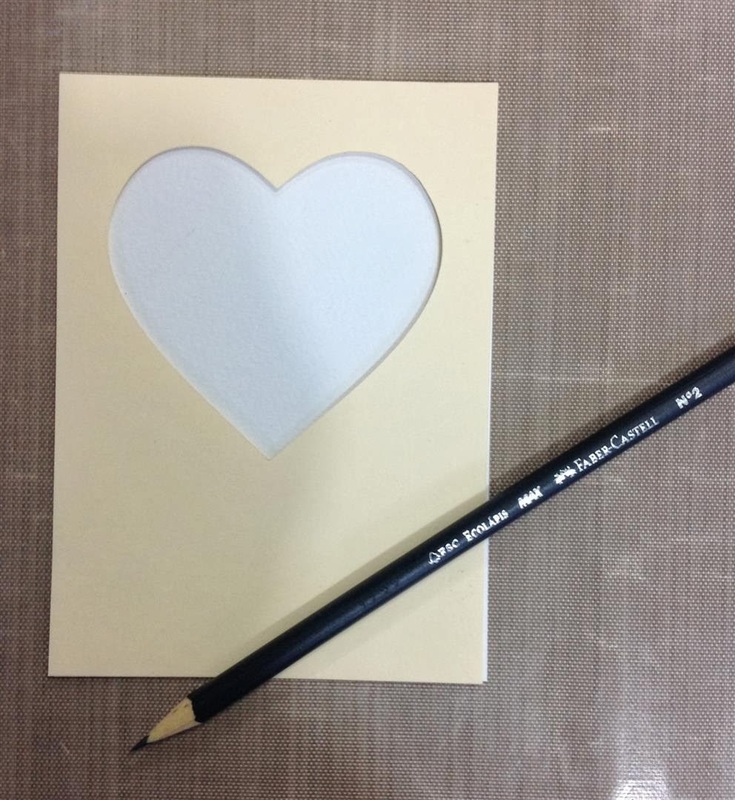 StenDoodle Heart Flower Card - Without The Flower!! Hello everyone!! 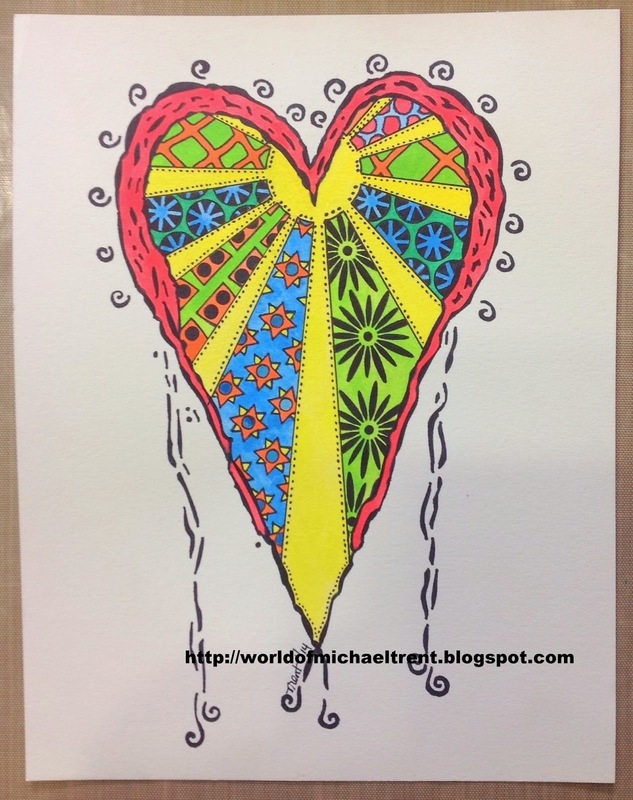 Today is a sort of continuation of my Guest Artist spot, on StencilGirl's Blog yesterday. If you have not seen the post, check out HERE. Today, is not a long tutorial, just a short one, to show another way to use the stencil in yesterday's post. 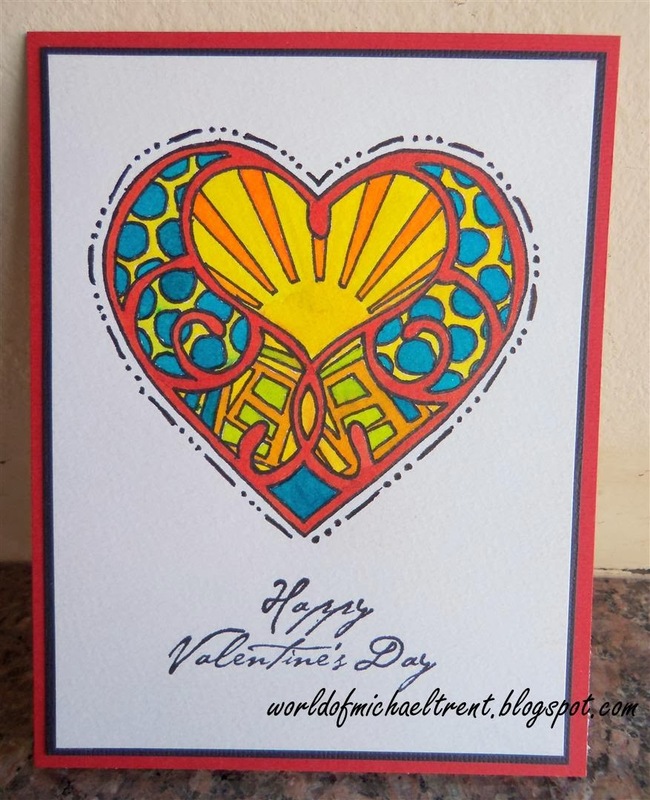 Below is another card I made using the same stencil as yesterday, Terri Stegmiller's Heart Flower 6 stencil. As you can see, I left out the flower part of the stencil and, using different colors, made it a bit more of a masculine card. 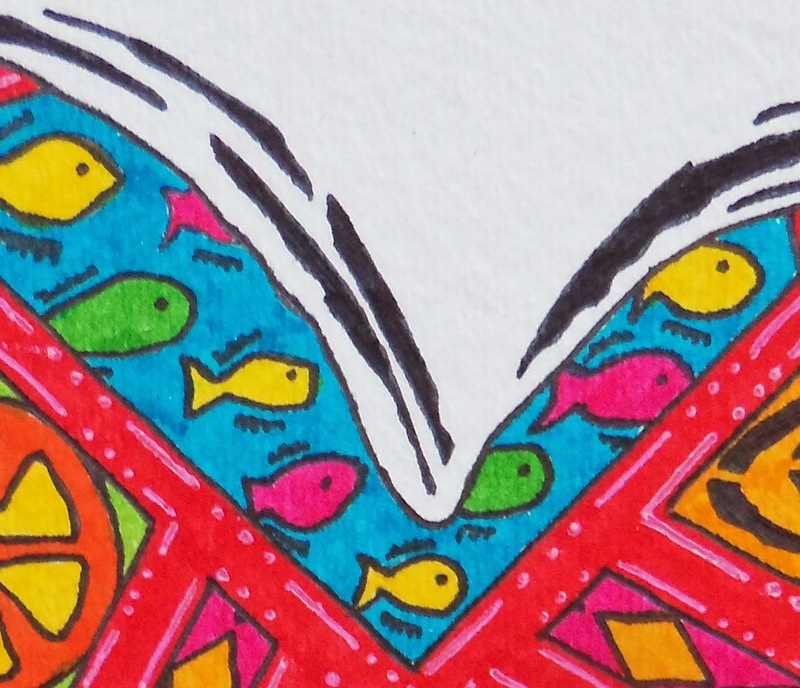 I also love how this card came out - with the fish looking as if they are in a tank, with pipes going down into the heart with water. Although it was not intentional, I think it turned out fun looking!! And I love the little fish!! 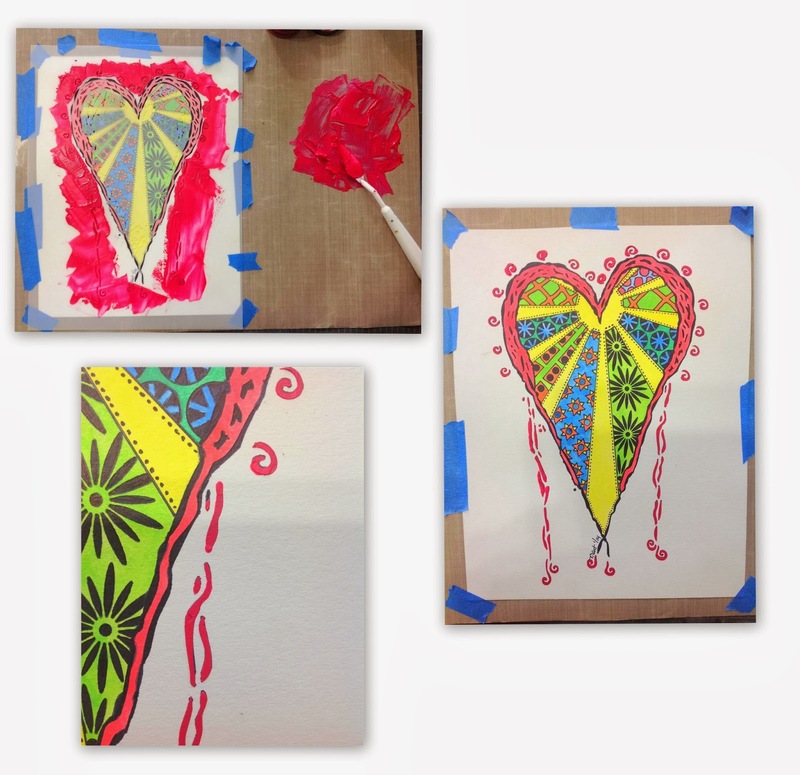 Lay the Heart Flower 6 stencil on your paper and secure with painter's tape or other removable tape. Trace around the stencil with a pencil but skip over the areas that would have been the flower. Then go back and close those gaps in your outline with the pencil. See the below photo. 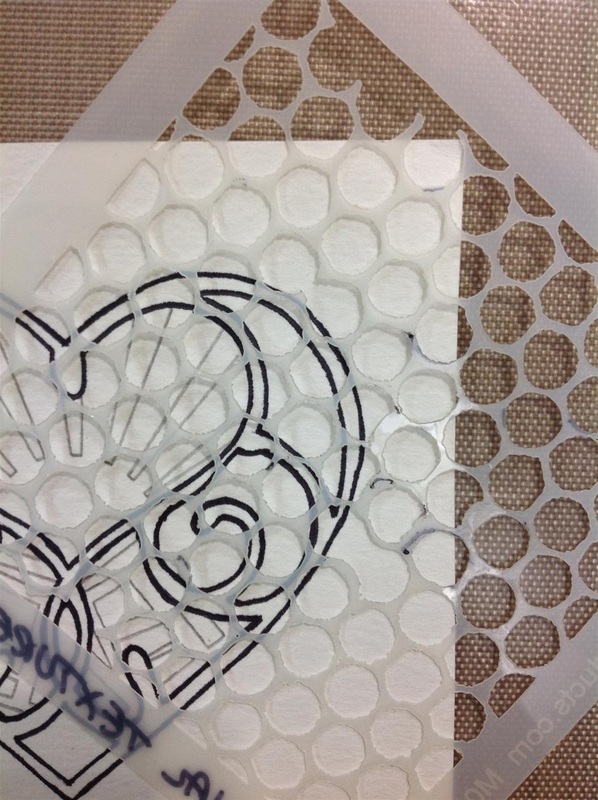 Now lay the Geomaze Stencil over the heart and trace that section of the stencil you want to use for your Stendoodles. Look for larger areas to use rather than smaller. Trace with pencil and then with permanent marker. Now you get to StenDoodle in the open areas. 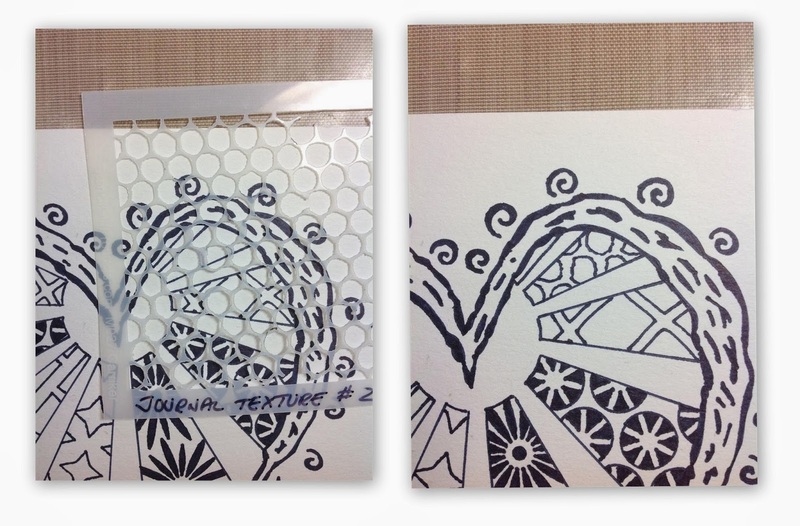 I listed above all of the stencils I used in this project and the photo of the card shows where I used each of them. I really hope that you embark on a StenDoodling Adventure of your own and I would love, love, love to see what create!! Please feel free to email me at michaeltrent@gmail.com with a photo or a link to your project!! Good morning everyone. 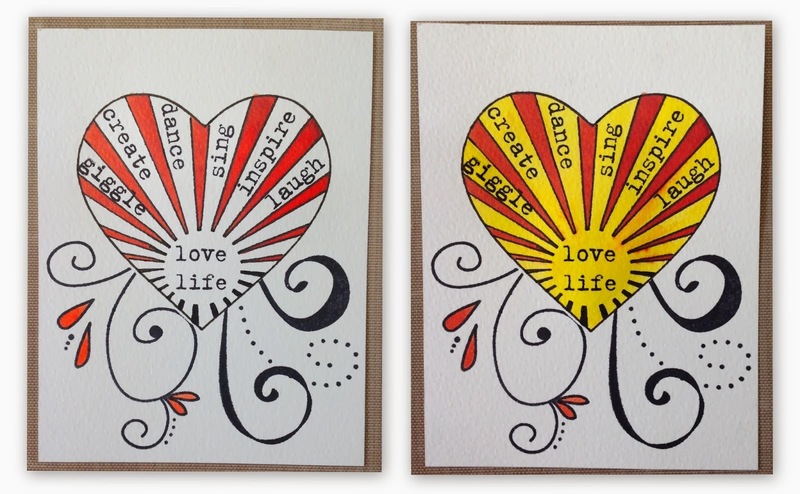 I am very excited to announce that I am the Guest Artist on StencilGirl's blog today - Stencil Girl Talks. Hope you have a chance to stop by and check it out. Click HERE to be taken right to the post. 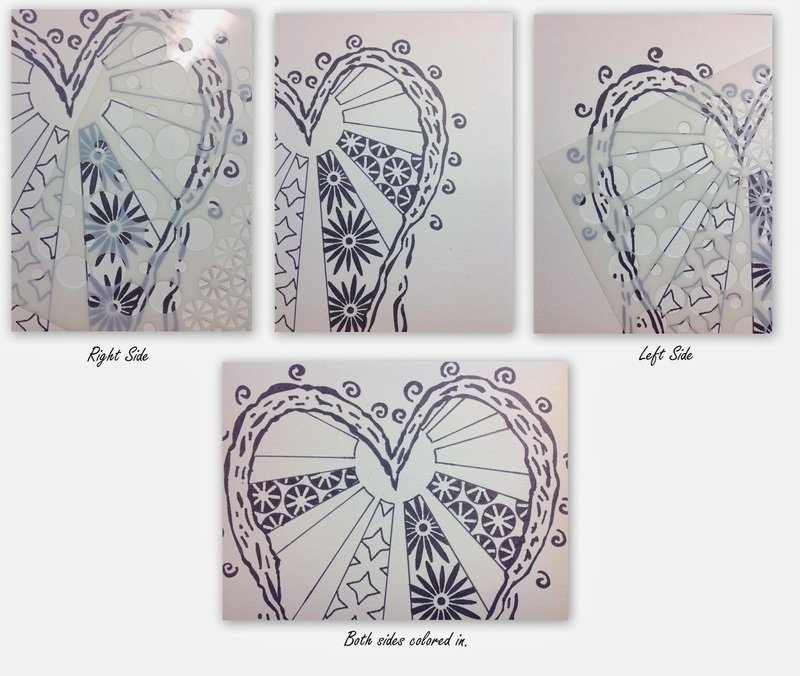 Also, make sure to stop by my own blog (this blog) tomorrow through Saturday for 3 more projects using StencilGirl stencils and my StenDoodle technique. Stendoodle Valentine's Day Card - Part II - Love Life!! 1. 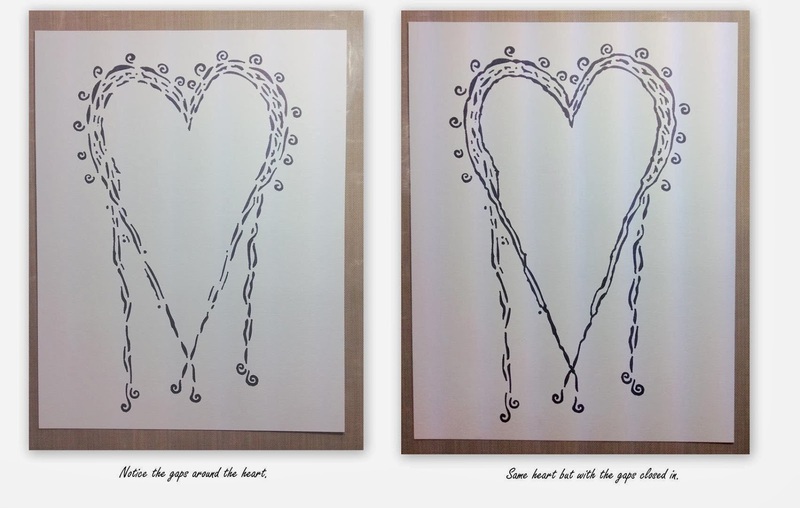 Lay the template on top of the watercolor paper and trace the outline of the heart with a pencil, then with a permanent marker, then erase the pencil lines. 2. Lay the Circles Ray 6 stencil in the center of the heart, trace with pencil, then with permanent marker, then erase pencil marks. 3. Pull out 6 words from the stamp set, adhere them one by one to the clear block and stamp in different rays of the stencil. Stamp center with love/life. Make sure you are using a waterproof ink!! 4. Cut a mask from a piece of xerox paper. 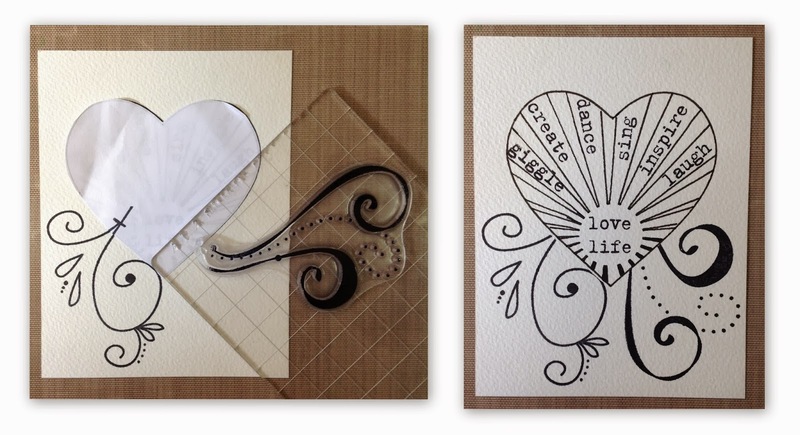 Cover the heart and stamp some of the flourishes from the Flourishes set or another flourish stamp - in waterproof ink. 5. 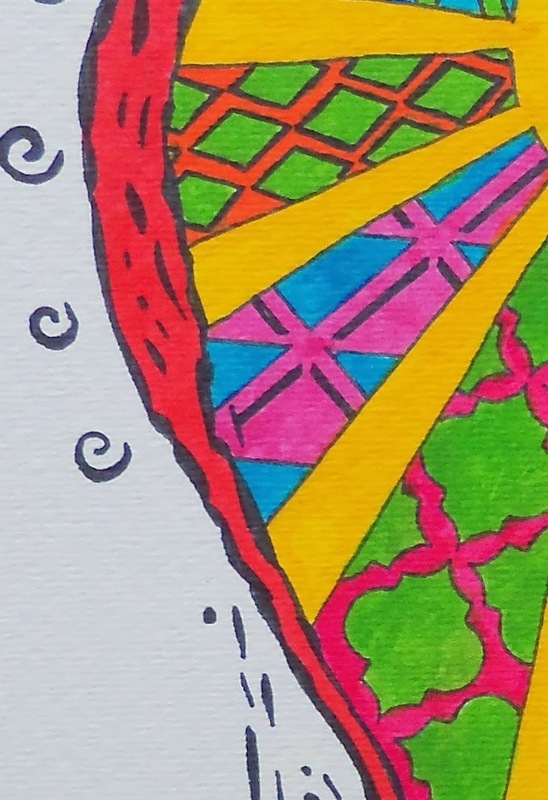 Color the rays with the Dylusions inks. I used them in a waterbrush. You can also use whatever medium you want to use for the color. The colors did bleed a bit but I like the way it came out and will not worry about it. 6. Place small dabs of the Red Pearl Pen by Viva Decor. 7. I trimmed a bit on the top, layered it on a piece of black cardstock, then on the red card front. Hope you liked this card. 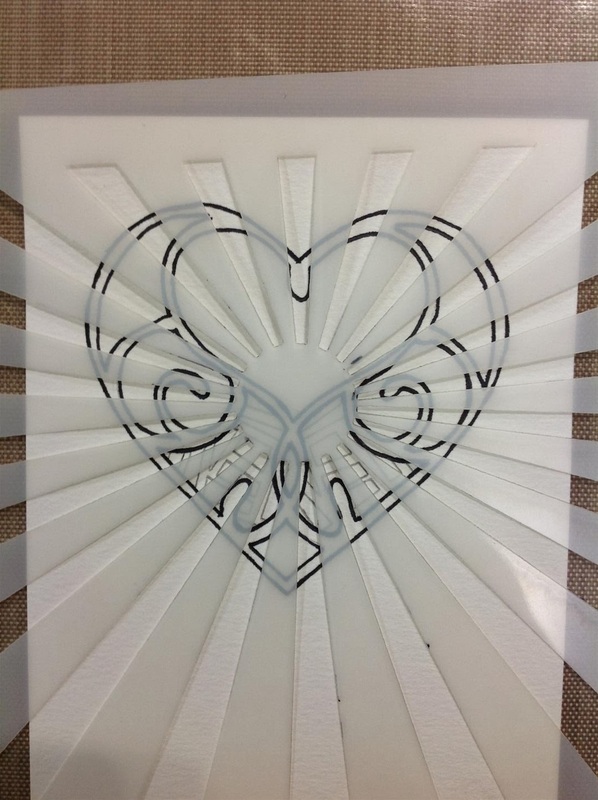 Have you ever thought to use one of your dies as a stencil? I never did. Until last week when something unexpected happened and it turned into a new technique for me. 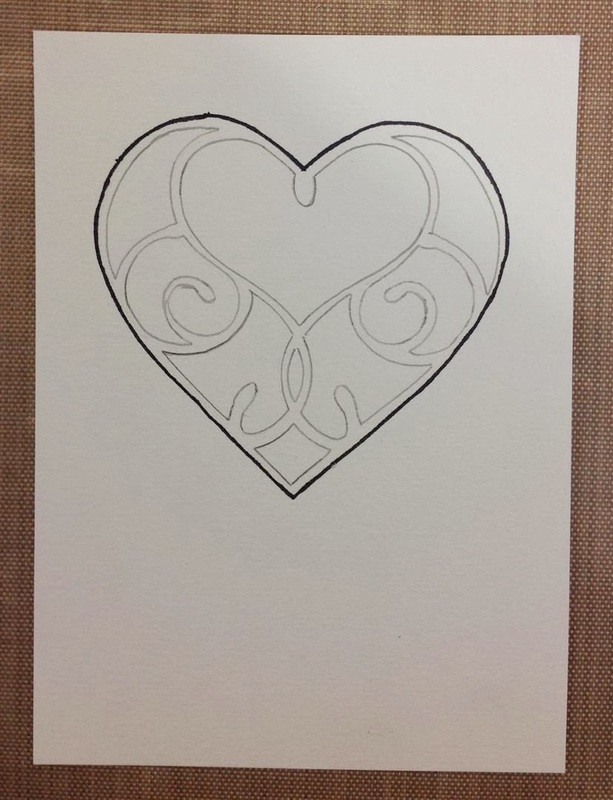 I wanted to make a Valentine's Day card using the Silverdale Heart die from Memory Box. I was expecting to get the design of the die on the card front but ended up with a solid heart on the card front and the design I liked as a separate piece. Looking at this piece on my table, I saw a stencil....and viola...a new technique. And, I can even "Stendoodle" with it! And now you can too. Piece of watercolor paper - 4" x 5 1/2"
1. 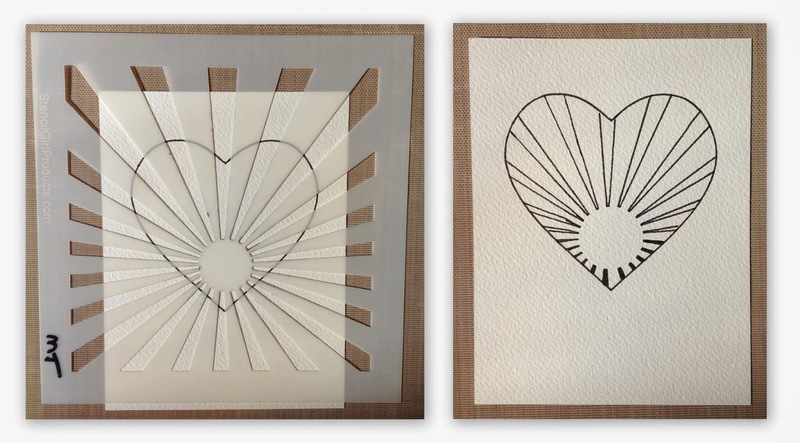 Using a die cut machine, cut the Silverdale Heart 3 times from a manila folder or cereal box. 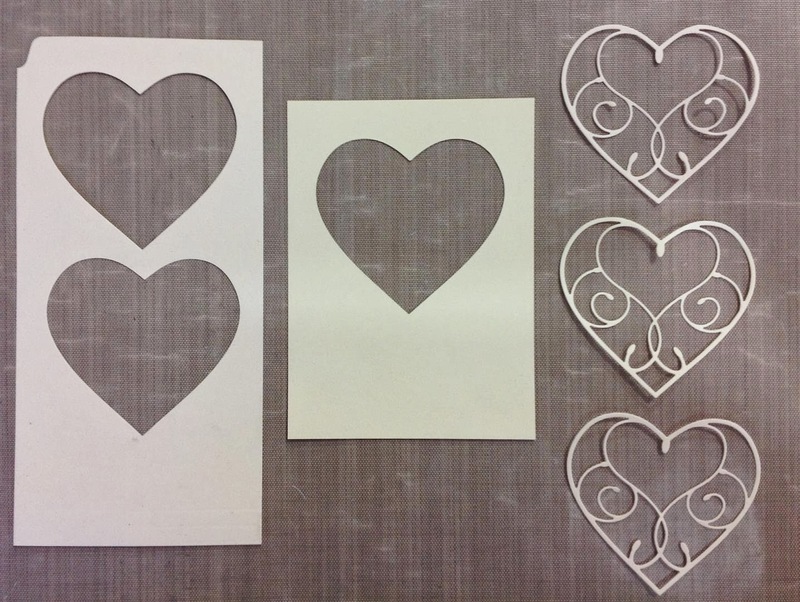 Make sure that one of your cuts is cut from the piece that measures 4" x 5 (this will be a template). Using the Zig chisel tip glue, glue the 3 pieces together. When dry, give it two coats of gel medium. The 3 pieces glued together with a few coats of gel medium. You now have a stencil. 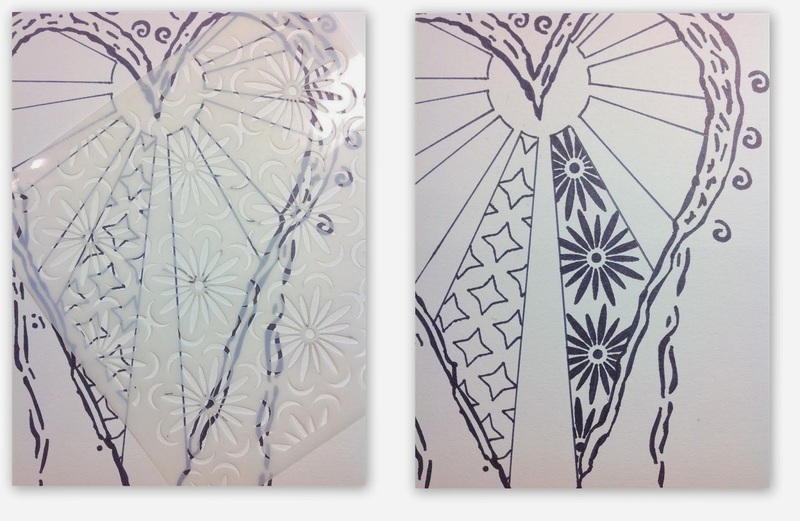 And, because you used the gel medium to stiffen the stencil, you can also use it with sprays and pastes. 2. 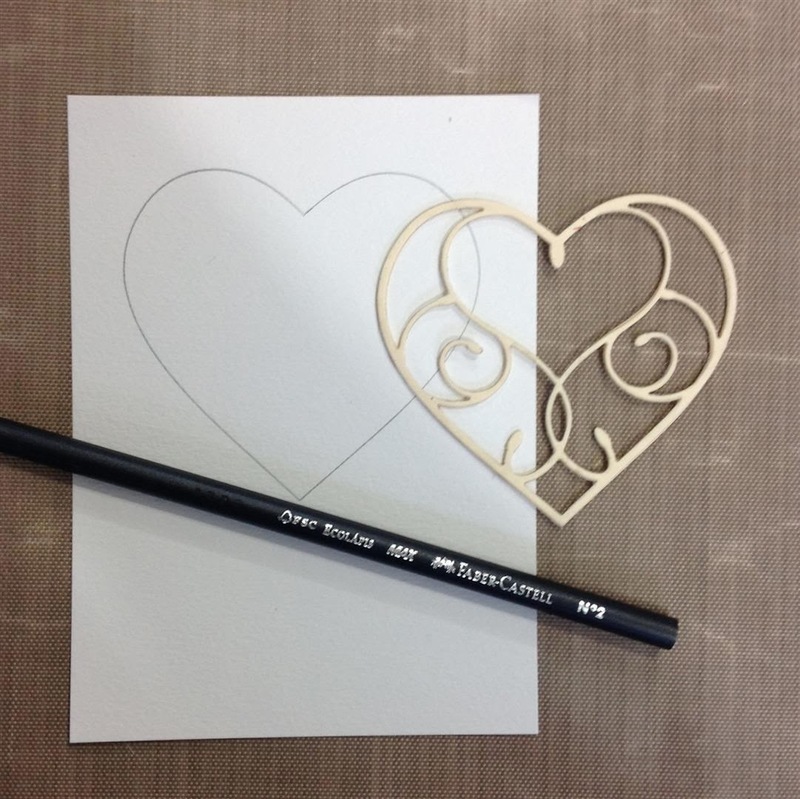 Lay the template on top of the piece of watercolor paper and trace the outside of the heart with the pencil. Trace the pencil lines with the permanent marker and then erase the pencil lines. 3. 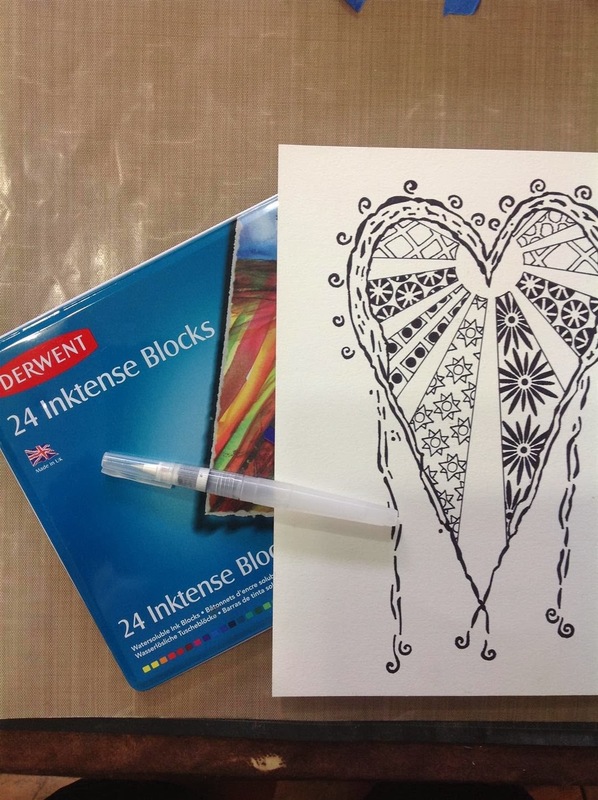 Place the "stencil" you made in the center of the heart outline and slowly trace the design with a pencil. Then go back over the pencil with the permanent marker and then erase the pencil lines. 4. Now, using parts of the 3 Stencil Girl stencils, trace them in the different sections of the design - first in pencil then in the marker. 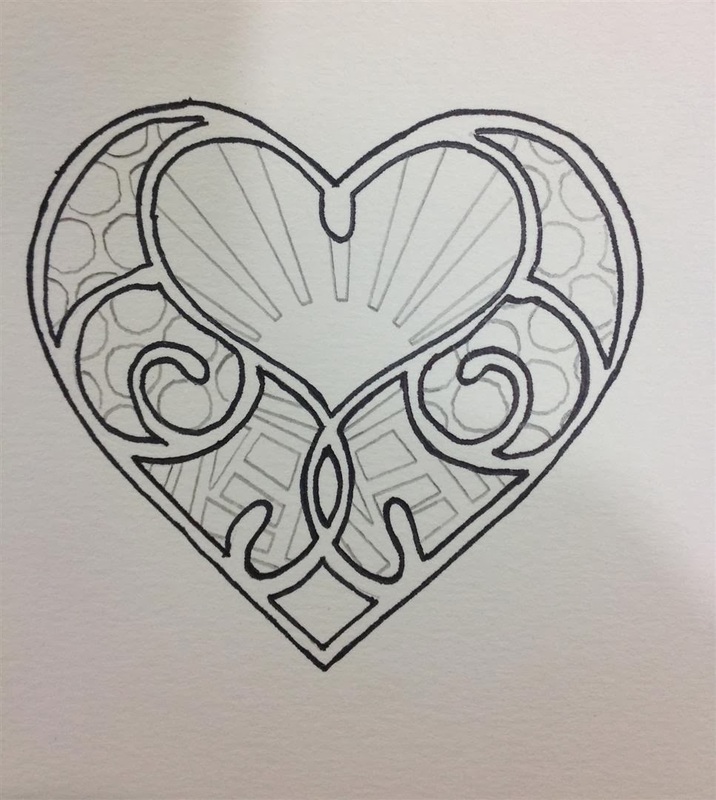 For the two sections under the heart in the center, I used the Mini Downward Stairs stencil. 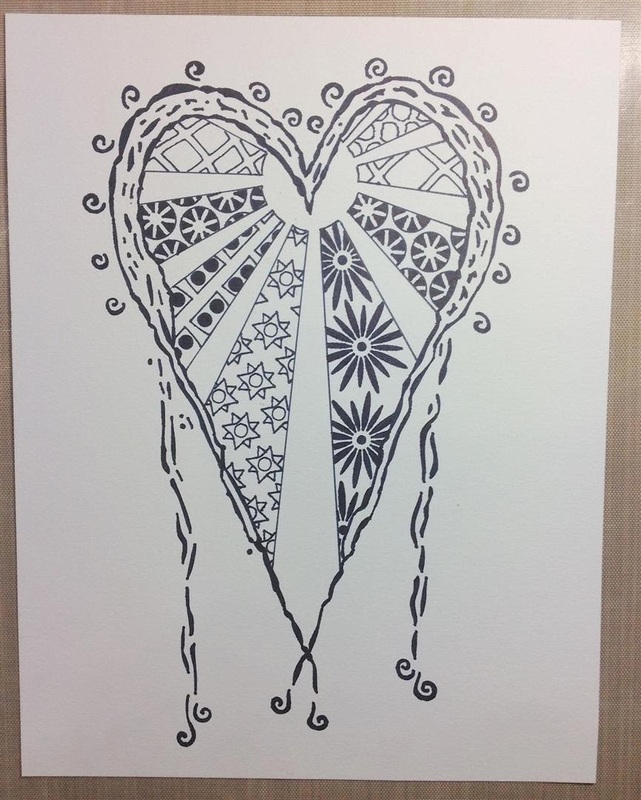 For the heart in the center, I used the Circle Rays 6 stencil. 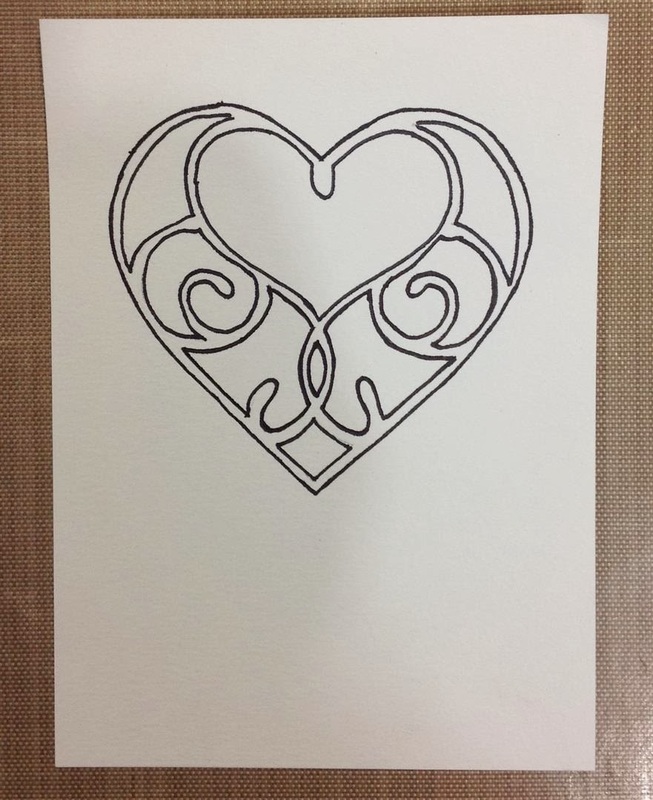 For the sections on each side of the heart, I used the Journal Texture #2 stencil. 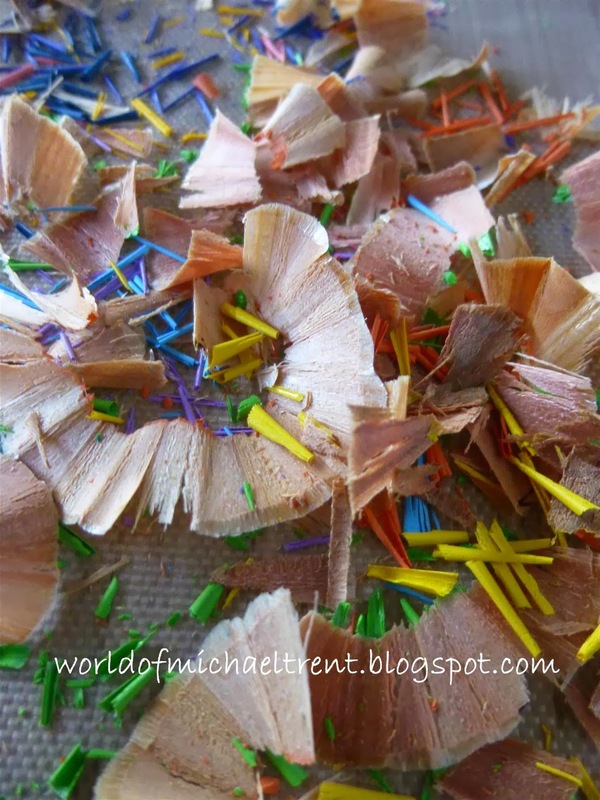 After you have traced the parts of the stencils in pencil. 5. Now to color. For this project I used Dylusions Ink Sprays. I love using these as a coloring agent, not in a spray. 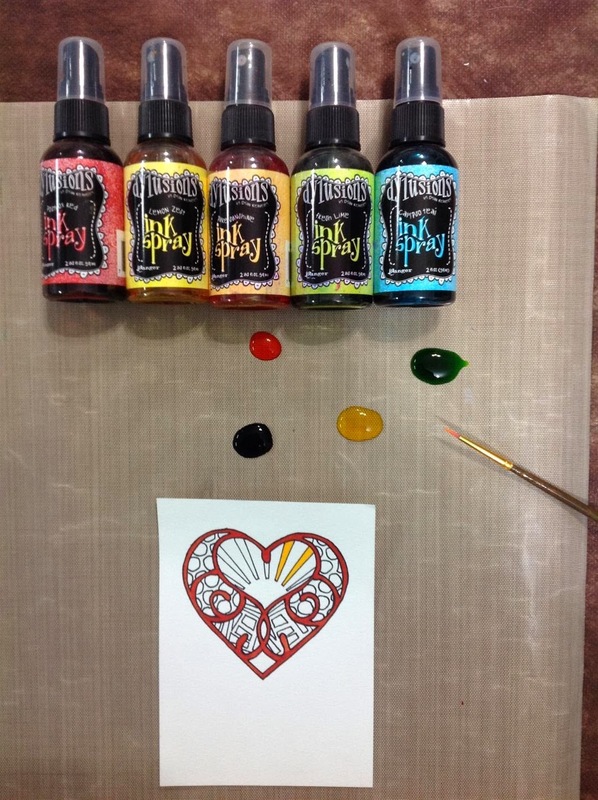 Pour just a dab onto the craft sheet and apply the ink with a fine tip brush. Or, if you have a waterbrush, you can use that also. 6. When dry, stamp phrase, layer on a piece of black cardstock and then onto a red card front. I also drew some dots and dashes around the heart. Sign and give to someone you love!! Hope you liked this card and new technique!! Hello everyone. Cool news....I am very excited to let you guys know that I am going to be the guest artist for Stencil Girl Stencils on their blog, on January 29th!!! I will introducing my Stendoodle technique using a bunch of their stencils. This is my first time doing something for Stencil Girl - but hopefully, not my last. Sneak Peak using Terri Stegmiller's Heart Flower 6 stencil. 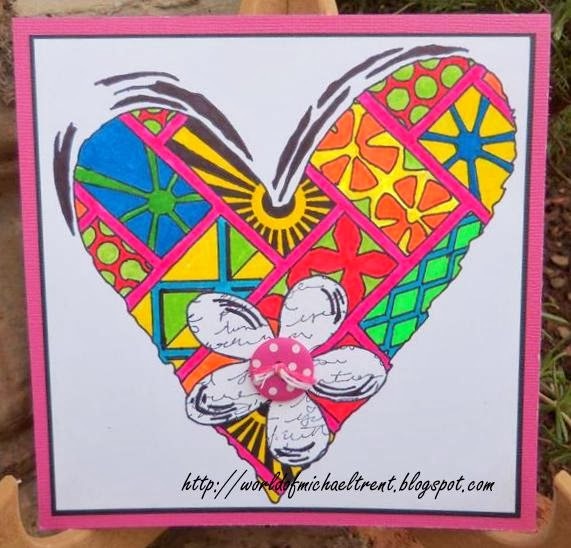 Sneak Peak using Terri Stegmiller's Heart Flower 6 stencil - but with a twist. 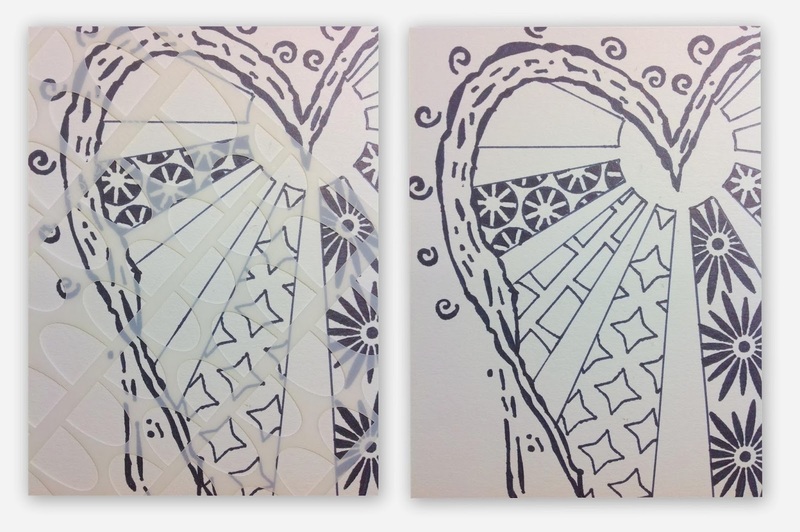 Sneak Peak using Pam Carriker's amazing Heart Stencil. I hope you guys stop by their blog and show me some love!! Just a funny photo I took the other day. Well, not really funny, kind of pathetic if you ask me. The sign says "Don't throw garbage on the road." 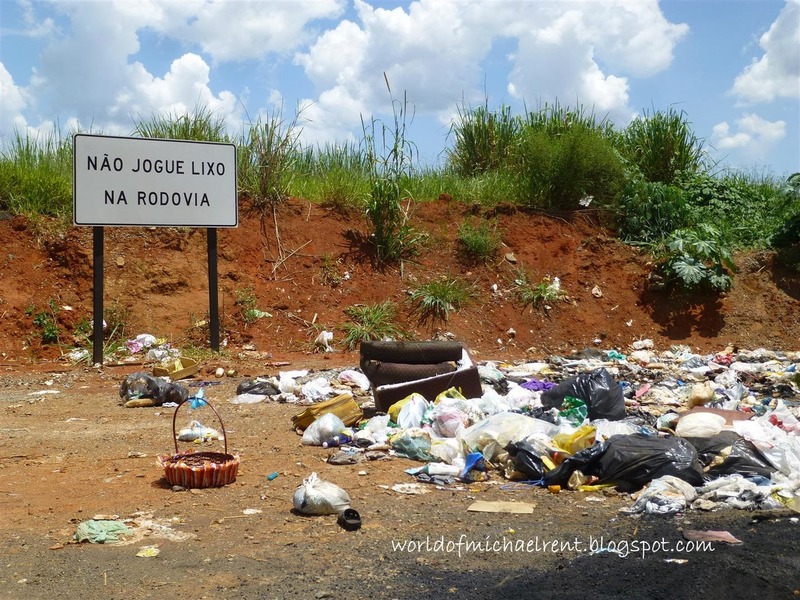 Considering that there are no homes or businesses near this sign, Brasilians are dumping garbage near the sign as a joke. Funny? Not to me. I am not really one for resolutions but I have made one for 2014 - to post more often to this blog. 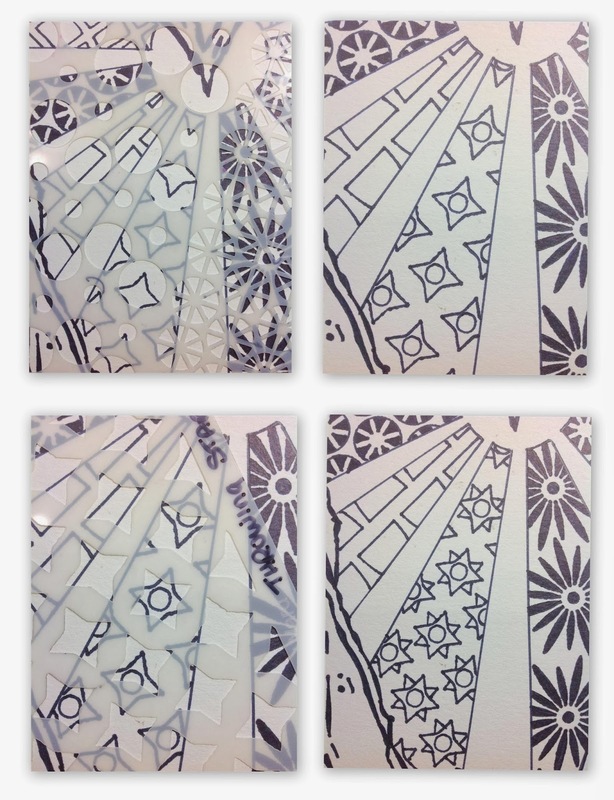 This past week I have been very busy trying to finish some projects for Stencil Girl Stencils. I will be their guest blogger on January 29th. While working on the project, I took this photo, which I think is really cool, and just wanted to share.